Once again some very nice images to browse through, David's Multi Selfie was nice, and fun to see, and interesting as to how it was done, a couple of lovely pictures of a Stream Gondola by John, some nice steam train pictures which I always enjoy looking at because we don't get to see them easily, and nice to see Stratford on Avon again . However, it has been a Halloween Week and, even though we don't all go overboard with Halloween events etc. 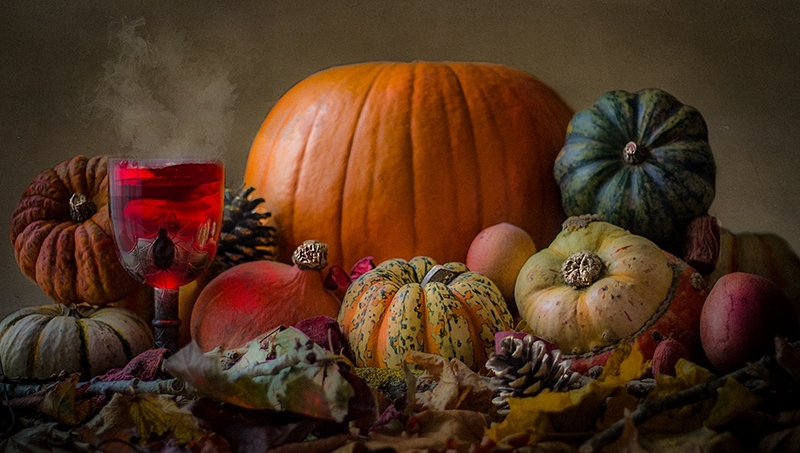 I've gone with Craig's lovely picture of pumpkins and a nice glass of wine. The composition is great, the colours are beautifully warm and spot on against the background, and perfect for your time of year. There is lots of lovely detail when viewed large too. So well done Craig, that is a lovely warming picture! Well done Craig ... beautiful seasonal tones and a fabulous still life study ...great choice Dee. Well done Craig - a lovely seasonal image. I would never expected this to be chosen for POTW?